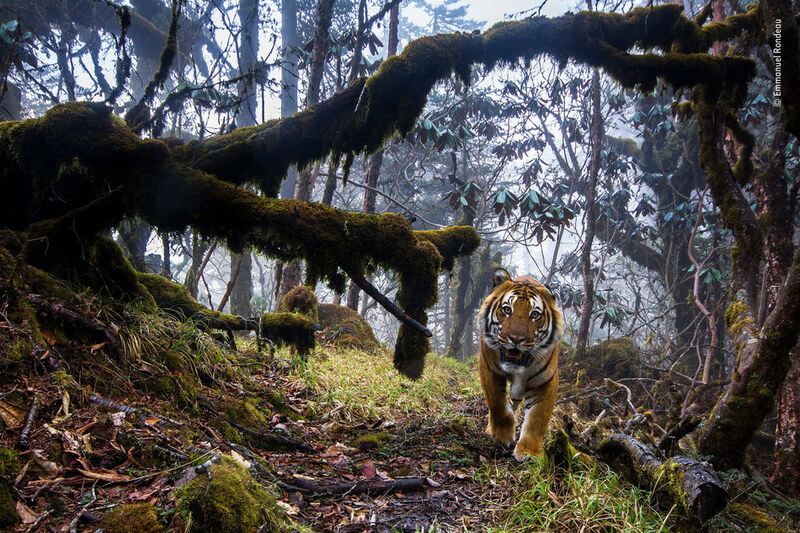 The annual Wildlife Photographer of the Year exhibition is a highlight of the year at the Natural History Museum, consistently showing fresh perspectives on animals, insects, plants and landscapes. This year's winner, Dutch photographer Marsel van Oosten, scooped the grand prize with his image, The Golden Couple, which shows a pair of golden snub-nosed monkeys in the forest of China's Qinling Mountains. The 2018 exhibition also includes a portrait of a horned tree lizard in the mountains of Pahang, Malaysia; a lioness lapping water from a waterhole in Zambia; and a mob of meerkat pups standing up against a snake in Namibia. The competition, running for over 50 years, is highly competitive with almost 50,000 entries from professionals and amateurs across 95 countries. The shortlisted 100 images - including the winning pictures - are beautifully displayed on backlit panels for all visitors to enjoy. What are the best dining options near Wildlife Photographer of the Year 2018 London? Wildlife Photographer of the Year 2018 gyms, sporting activities, health & beauty and fitness. The best pubs near London Wildlife Photographer of the Year 2018. Wildlife Photographer of the Year 2018 clubs, bars, cabaret nights, casinos and interesting nightlife. Where to have your meeting, conference, exhibition, private dining or training course near Wildlife Photographer of the Year 2018. From cheap budget places to stay to luxury 5 star suites see our discounts for Natural History Museum hotels, including Radisson Blu Edwardian Vanderbilt Hotel from 87% off.